A lot of important choices will be on the ballot here in California on Nov. 6. Among those is the question of whether to pass Proposition 10, which unfortunately has gotten nowhere near the kind of attention it deserves from the mainstream media. While it may get more clicks to report on the governor’s race or the hotly contested campaign for the U.S. Senate, it’s Prop. 10 that will perhaps have the biggest impact on the direction of our state and our country. Most people know that the housing crisis is quickly escalating, and solving it must be the urgent top priority of our government leaders. The increased cost of housing is at the core of most of our society’s biggest problems- income inequality, homelessness, aging in place. Until we address the underlying cause, these problems will continue to fester and get worse. Prop. 10 will take a huge step forward by eliminating Costa Hawkins, the statewide law passed by corporate interests back in the 1990’s to restrict how far cities can go in adopting their own individual rent control ordinances. For far too many years, lobbyists for the rich and powerful in Sacramento have prevented our legislators from taking action to repeal the law, despite it’s obvious negative impacts on the general public. If you want to know why it’s so important for us to finally repeal it, look no more further than the list of those who are bankrolling the effort to keep it in place. Among the tawdry list of donors is the CEO of the Wall Street private equity firm The Blackstone Group, who has chipped in the measly sum of… $5 million. With all the important and consequential elections happening around the country, it speaks volumes that Wall Street fat cats are devoting such an immense amount of resources to a low profile ballot initiative. There has been a lot of “fake news” put out there about Prop. 10 and what exactly it proposes to do. No, it doesn’t force rent control on any city. Rather it gives local communities the flexibility to decide on their own what kind of rent control laws work for them. 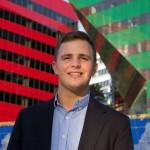 West Hollywood was a leader in the early 80’s in passing its own rent stabilization ordinance; Costa Hawkins, however, when passed a decade later, severely hampered WeHo’s ability to enforce its own laws. If we repeal it, however, that will change. Yes, there are steps we can take locally to mitigate the housing crisis, and I hope we will take them. But if we’re going to make a real, tangible difference in the lives of our people, then we need to stop with this piecemeal, incremental approach and “go big”, be innovative. Passing Prop. 10 will be the first giant leap towards solving the crisis once and for all. I hope you’ll join me in voting for it on Nov. 6. James Duke Mason is co-chair of the West Hollywood Lesbian & Gay Advisory Board and a board member of the West Hollywood Community Housing Corporation. As a Economics B.A. from UCLA: It is the one actual proven fact, attempting to set any type of control on apartment rentals will NEVER work. You can wikipedia it. It is the quintessential model/example of basic Economics. Personally, I do care for the people who can not afford rent. I may be one myself someday. But the society as a whole has to pay for supplementing rents (which nobody will agree to i.e. a new tax) or this kind of Proposition, sounds great, but will NEVER function. I would also like to share with you recent research from USC that takes on the task of questioning the literature against rent control and analyzing if moderate forms of rent control would actually help with the housing crisis, as growing research begins to show that rent stabilization could indeed help. Thanks Josh. Please submit your comment as an Opinion piece so more may read this cogent information. Looks like I am a bit late to this debate, but let me say this. If people want rents to be lower than market value, then they should propose taxing everyone to pay for this. Why should landlords bear the entirety of this cost? I think gas costs too much. Should we force gas stations to lower prices? Should markets be restricted on how much they can charge for food? We don’t enact price controls in this country for a reason. They don’t work. The buildings that are subject to existing rent control rules are all dilapidated and there are many people living in those units that have the means to pay market rents. To me, rent control is very much like Prop 13. It seems like a good idea for the short-term, but nobody thinks about the consequences and twisted outcomes that occur decades after the controls are implemented. Even if I stipulated to the “landlords are subsidizing” argument (which I don’t since every landlord is entitled to a profit): Property owners are NOT bearing the cost of rent control, thanks to Prop 13, if anyone is bearing “the cost” of rent control, its the non-property owning taxpayers of this state. I’m glad to see we at least agree Prop 13 was a mistake. I will be voting Yes on Prop 10 so that local communities have the tools necessary to address the issue of unaffordable rent hikes that lead to displacement and homelessness. No on Prop 10. It does nothing for any current renter. Anybody under rent control stays under rent control. Prop 10 says that if I rent a room in my house the government will then control the room rent in my house. That’s ridiculous. Then if I decide to move Im going to have to pay the person a relocation fee? Well, wont be renting the room in my house.. so less housing. Prop 10 will force the free market system to curdle up and lead to less housing available. Every home in an R3 zone will turn into condos. Prop 10 does nothing to protect any seniors or elderly or poor or renters.. the only thing it really does is make everybody else poorer too. Housing prices drop. property taxes drop, less money for cities. The only thing Prop 10 does is incentives the development of condos over rental housing that will further displace renters. Does this really affect renting a personal room? I don’t think it does. If it does, that’s definitely going too far. Yeah it give local cities the authority to regulate renting rooms in ones house or rent control on renting the whole house out. Larry, I’m disappointed to hear that you’re such a supporter of the Costa-Hawkins Rental Housing Act the Legislature passed in 1995 which restricted all CA cities’ authority to institute limits on rents and maliciously discriminates against West Hollywood and a small handful of other progressive cities like Los Angeles, Santa Monica, Berkeley and Oakland. Costa Hawkins Rental Housing Act set out to directly punish us by saying any city that had a rent control ordinance in place could not amend the protection dates (1978 & 1979 are the typical protection dates for WH, SM & LA) while everyone else is allowed to apply their rent control laws to all buildings built since 1995. It’s unbelievable to me that any advocate for our City would tolerate that, let alone advocate for the law to remain. I will proudly be voting Yes on Prop 10 to repeal Costa-Hawkins. On a side note Larry, ALL tenants in the City of West Hollywood (not just those who live in rent stabilized units) are protected from no-fault evictions and could be entitled to relocations fees under the scenario you provided above – has nothing to do with Costa Hawkins / Prop 10. As a housing provider for decades in West Hollywood, including prior to Costa Hawkins I assure you that the way it was prior Costa Hawkins when the city put a cap on rents once a unit is vacated (vacancy control) will not work. I am certain this is what the government of WeHo will do if Prop 10 passes. I can tell you, most landlords will not re-rent the units at deep discounts of 15-50% below market once “legacy tenants” move out of their units. Either it will just be kept unrented or made into a short term rental even though that’s illegal. Even landlords can’t control that, so the City sure won’t be able to. Remember, if the unit is occupied, there are costs to have it that way. Utilities, trash removal, maintenance, time to get the unit rent ready and administrative work. You need a certain amount of rent to have it make sense. Vacancy rates will drop dramatically, and it will be next to impossible to find a place that does not have multiple applicants. Unless you have a perfect job, perfect credit and perfect rental history you will have to move into an adjacent city without vacancy control to qualify. Of course, the overflow will cause those rents to go up. So tell me how does this actually help the people that need it most? As chances are that they are the ones that can’t afford the high rents in the first place. Renter’s need to empower themselves and West Hollywood to enact measures to limit skyrocketing rents. I strongly support Prop. 10 as a critical step to enable the West Hollywood and all cities throughout California to ‘control’ the out-of-control high cost rental market. Yes on 10 will allow our city to enact measures to help control rents. Of course more affordable housing is part of the solution as well as inclusionary housing for very low, low and medium incomes. 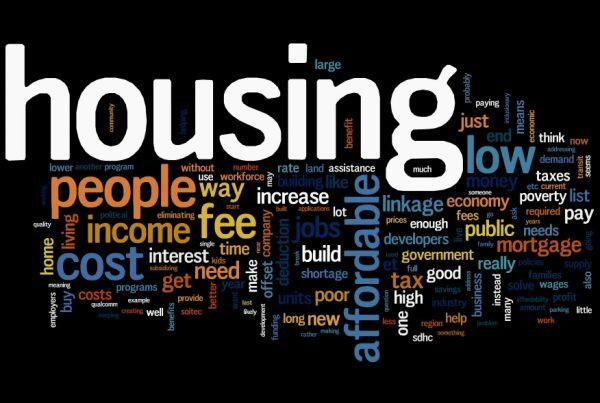 I would love to see an increase in the required percentage of affordable housing in future developments and/or increase to the in-lieu fee if affordable housing in smaller developments excludes affordable housing. I urge you to support Prop. 10 and Vote YES on November 6th. In 1996 I was paying $483.00 for my 1 bedroom bungalow. I occupied this unit in 1990. Today I am in another 1 bedroom with dining room and all rooms are large for me and my husband. We pay 1,174.54. Not bad since we moved in to our current home in 1997 @ $800.00. When Rent Control (Not Rent Stabilization) and Costa-Hawkins rental housing act was enacted in 1995 it destroyed affordable housing and we all know where rents are today. Prop 10 is to repeal Costa-Hawkins and allow renter’s and the City to enact legislation and rebuild an affordable rental market for West Hollywood renter’s. Though Prop 10 may be well-intentioned, it won’t create more or affordable housing. Removing the landlord’s ability to to raise rents to market levels when tenants move out will only result in more poorly maintained buildings or the removal of the rental units from the market. The people I know in Weho who support a NO on Prop 10 are not “tawdry rich and powerful fat cats”. They are regular folks who happen to provide good housing for one, two or three long term tenants. They are worried about Prop 10. I’m not sayin, I’m just sayin. There are plenty of reasons to vote Yes on 10. Among them would be granting some predictability for California’s tenants. Just before we incorporated the City of West Hollywood, my landlord hit me with a 30% rent increase, that motivated me to get involved in the Citihood campaign. Today the majority of cities in California do not have rent stabilization which leaves tenants subject to being exploited by landlords often resulting in evictions that put families in total chaos and even homelessness. While landlords are entitled to an equitable return on their investment, municipalities should be given the right to craft tenant protections, including rent control, to protect the stability and character of their communities. These decisions should be made locally, not by Sacramento. Of course our “progressive” Democratic majority in the State legislature could have made Prop. 10 unnecessary if they spent a little less time posturing against the Trump Administration and more time dealing with the issues facing working Californians. Real “Resistance” would be require real leadership. Weho Homeowner. Are you planning to rent your home out? Just curious how this would affect you. I’m definitely voting YES on 10. This prop seems peace meal to me. It’s time to actually do something – build a substantial amount affordable (rental) housing. All this is going to do is discourage potential landlords from wanting to build here and continue to discourage current landlords from putting any money into fixing up the run down buildings that are here now. There needs to be a blended approach that speaks to the whole not another patch. I worry this is just going to exacerbate the problem. Mark, this is by far the best explanation for the reason to vote NO on 10. Passing this will only make things worse for renters. This is a sloppy and irresponsible proposition created by Michael Weinstein who has put four other previous initiatives on past ballots that would have been disastrous if they had passed. Luckily they all failed as should this one. I’m confused as to why someone would push for a yes vote on a measure under the guise of creating more housing when no such verbiage exists in the actual proposition. In order to create more housing, we have to build more housing, it’s that simple. Voting to give cities the power to restrict housing costs does not mandate that new housing be built, does not mandate that those currently without housing be placed in housing, does not guarantee those with existing rent control units will be able to stay in those units indefinitely, (which is what many people have been told, if you vote yes you can keep your rent controlled unit, which is false), or even guarantee that people who actually need rent controlled units are the people who will have them. It seems a better solution would be to write a proposition that actually accomplishes these things, instead of backing a vague proposition that gives people false hope based in zero reality. Thank you for letting us know how you feel on this. As a homeowner, my property is my greatest and only real investment. I have put everything I have into it, and I cannot support any candidate who would support a bad policy that would only serve to harm my retirement. How does repealing Contra Costa hurt your only real investment? Stop listening to the “No on 10” TV ads. Tell us how you think this will harm your retirement.